Passement: During his younger years, Collin learned that basic principles of parkour are speed, efficiency, and adaptation. Utilising and executing all of these principles effectively can result in a number of positive outcomes, both in and out of combat. Putting the Win in Darwinism: At the cost of 1 AP, Collin is given a stat boost of +1 on any roll of 2 or under. As the River Flows: At the cost of 2 AP, Collin can do one of two things with a re-roll; If the skill rolled is different to the previous skill, a second action is taken based on that roll. If the skill rolled is the same as the previous skill, whichever roll is higher is used. Rho-d Burn: Collin's experience with Rho-8's operations has steeled his nerves, allowing for some injuries to simply be shrugged off. If the injuries get too hot to handle, however, he'll drop like a rock. Non-Standard Operating Procedure: A lesson Collin took from his days in Rho-8 was to never expect anything; Thanks to this, Collin is always on his toes, unfortunately for him, this has made him very nervous in high-stress situations, almost dangerously so. Tune In, Drop Out: During his time in the field, Collin learned that the only way to truly focus was to not listen. While focusing, he tunes out from the rest of the world, giving him time to assess a situation. However, it can be hard to snap him out of it. Current Load: Light / Medium loads are interchangeable, at 5 and 7.5 respectively. 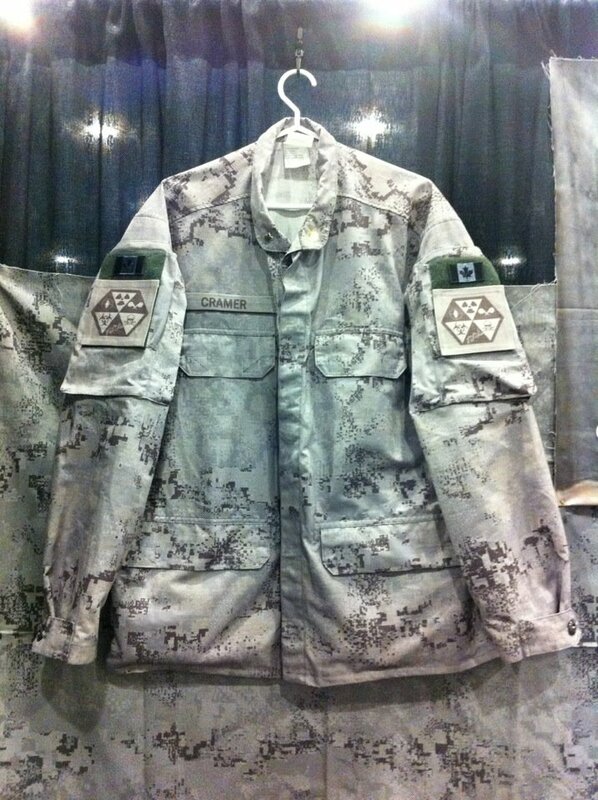 CUEPAT v1 (w/ Foundation patch on right arm), seen here. Due to a number of difficult encounters within the Pool, Agent McCallahan has requisitioned a number of firearms and ammunition. Agent Collin McCallahan was born to a young couple in █████████, ██, Canada in late 1988. 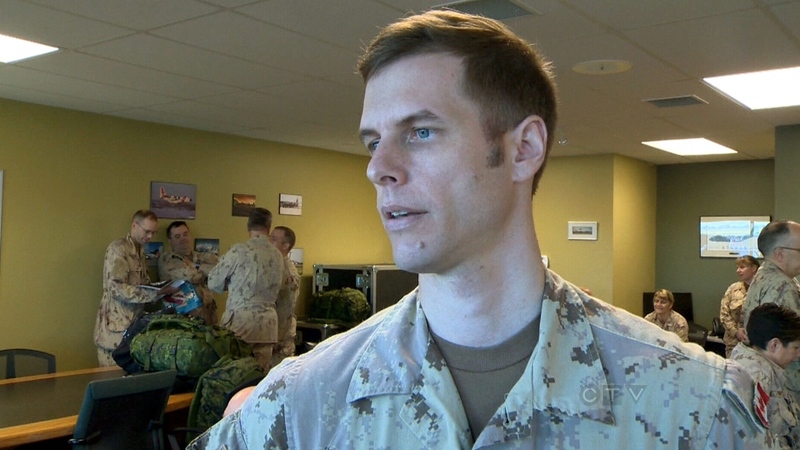 After the completion of Secondary schooling and a year at idle, McCallahan eventually enlisted into the Canadian Armed Forces as an Infantryman. As time went on, Agent McCallahan found himself in Afghanistan, operating with the joint forces of the United States and Afghani military. During his tour in Afghanistan, Collin's fireteam encountered an early manifestation of SCP-████; After a two hour long firefight, the manifestation was neutralized. Shortly thereafter, the Foundation was called in under the guise of NATO Biomedical Research, the entity was contained, and the fireteam was debriefed and offered positions in the Foundation. Shortly after his induction, Agent McCallahan was assigned to Mobile Task Force Rho-8, which at the time was serving as on-site security for Area-97 due to its then-recent acquisition of a gravity-based anomaly. After multiple operations and containments in areas around the world, Agent McCallahan and other agents of Rho-8 were eventually reassigned, and Rho-8 was again disbanded; Agent McCallahan's eventual reassignment was to security staff for Site-88. Shortly after that, another reassignment order was given, and McCallahan was sent to Area-354 as a new member to Special Task Force A-354. Agent McCallahan is a fairly average, albiet tall subject at a height and weight of 188 centimeters and 72 kilograms respectively. Due to previous service with the Canadian Armed Forces and the Foundation, Agent McCallahan is familiar with the chain of command, and will more often than not willingly follow orders to the best of his abilities; however, he has shown to go against orders under certain circumstances, usually while under high stress or dealing morally questionable orders. With interpersonal affairs, Agent McCallahan has been described as reserved and soft-spoken, usually only talking with certain members of the Task Force. Medical reports pulled from previous service have indicated a possible anxiety disorder, apparently emerging shortly after being inducted into the Foundation; this is currently being monitored for the safety and health of the Agent, no red flags have risen currently. Agent McCallahan is usually seen out on patrol duty, either on the Wall or with the Reactor guard. In other cases when off duty, he is seen running drills in the Live-fire shoot houses or practicing on the fullbore range. 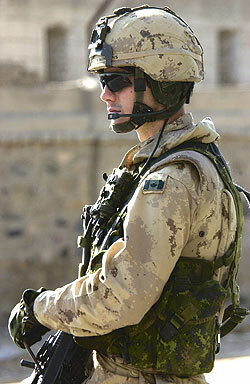 Agent McCallahan on patrol in Daman, Afghanistan.